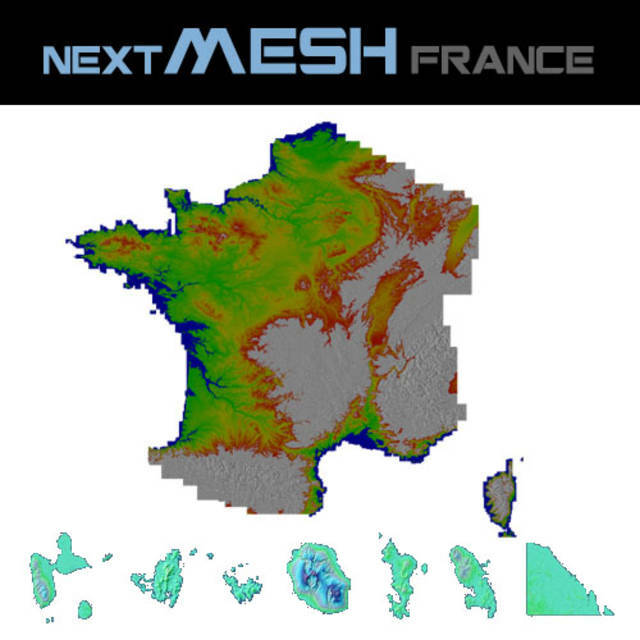 NEXTMesh France covers the whole French and DOM areas with a 4.75-metre (LOD13) resolution terrain mesh. 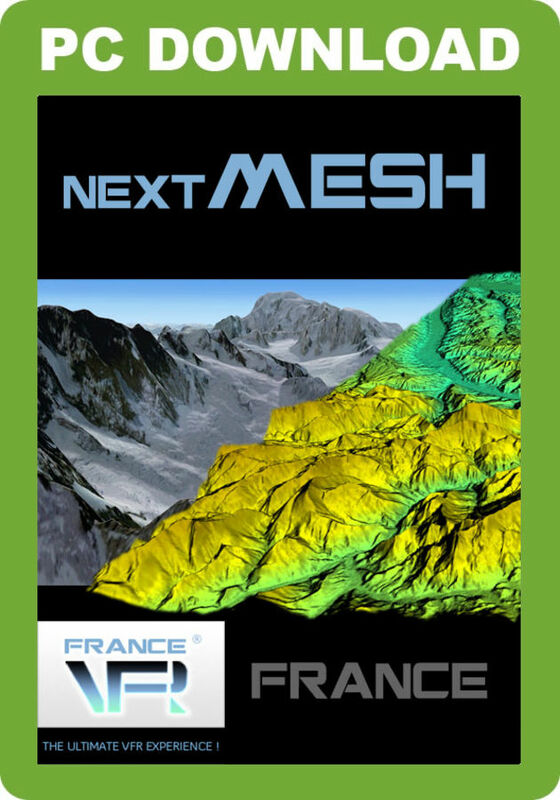 This product is not an upgrade from the previous MESH France FSX 19/38 metres but a brand-new product based on very high resolution data from the NEXTMap Europe Program (InterMap Technologies - USA). This product already includes fixes for airport platform issues that allows a smooth terrain mesh for more than 400 airport and airfield areas. Every France VFR product provides an automated installation program consisting of one or more executable files, which you should unzip and/or copy to your desktop first. Run the first installation program provided (usually holding number 1) and follow program instructions. When completed, run the following programs to complete the installation and run Prepar3D. You can create or select a flight. Installer supports automatic declaration in scenery library. The installation process completes after Prepar3D is launched. Click the START button in the Windows taskbar. Click on 'Programs' then 'France VFR' and then locate the menu option for your product. The only one parameter to be set is 'Mesh resolution' located in the graphics options. We recommend a value of 2 metres. For any question about this product please log in to the France VFR technical support forum. This NEXTMesh France add-on for P3D v4 is compatible with France VFR photoreal sceneries and covers the whole French and DOM territories with a 4.75-metre (LOD13) resolution terrain mesh. It already includes fixes for airport platform issues that allows a smooth terrain mesh for more than 400 airports and airfield areas.